Despite recent belt-tightening at Brooklyn-based ethereum venture studio ConsenSys, the company’s investment arm is ramping up outreach to independent startups. 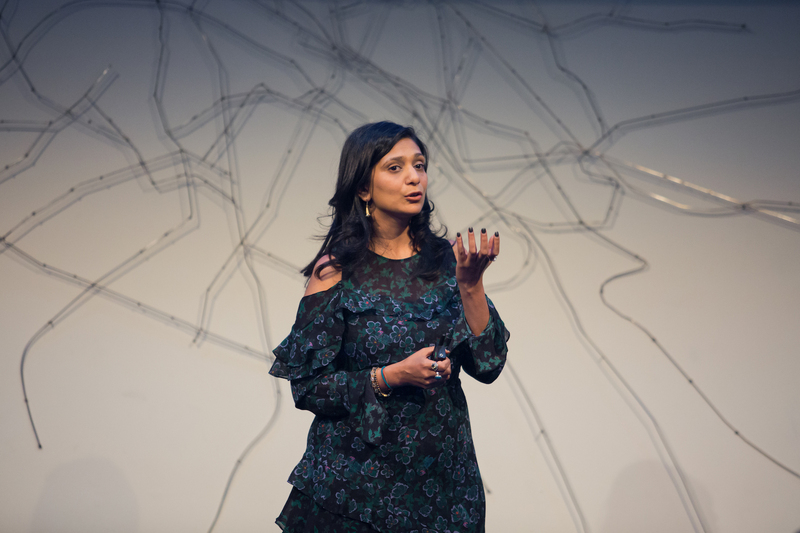 ConsensSys Ventures, headed by managing partner Kavita Gupta, announced two new investments on Thursday: $1 million in the Paris-based crypto wallet and trading platform Coinhouse and an undisclosed amount in the encryption-centric browser Tenta. Gupta told CoinDesk these companies distinguished themselves with teams that include bitcoin veterans serving established user-bases. According to Coinhouse, the platform has over 150,000 user accounts. Plus, the startup’s CEO, Nicolas Louvet, was an early investor in the hardware wallet startup Ledger. Ledger CEO Éric Larchevêque was a reciprocal investor in Coinhouse and both men now sit on the boards of each other’s respective companies. “A settlement custody solution [Ledger] working with the exchange [Coinhouse] … is very relevant to how at ConsenSys Ventures we think about investing,” Gupta told CoinDesk in an interview Thursday. As for Tenta, which features a built-in VPN, ad blocker and full data encryption, Crunchbase lists the browser as having at least 61,489 downloads. The ConsenSys-incubated wallet startup MetaMask is already in talks with Tenta regarding how the latter’s mobile browser could include built-in crypto wallets. “Our mission to make private and secure browsing fast and ubiquitous received a huge boost with ConsenSys support to expand to other platforms while continuing to innovate great new privacy features,” Tenta CEO Jesse Adams said in a statement. ConsenSys Ventures was launched in 2017 with $50 million to invest in startups that would complement those under the main ConsenSys umbrella, with a similar mission to help build the ethereum ecosystem. Since then, Gupta said her seven-person team at ConsenSys Ventures has distributed roughly $14.5 million across 14 projects, noting there are still a few more equity deals in the final stages of completion. Those deals involve early-stage projects that graduated from the inaugural cohort of the ConsenSys accelerator program Tachyon, which took place in San Francisco in 2018. Gupta said her fund will allow the teams to raise from outside venture firms and then match that valuation to buy 7 percent of the equity, as just one example of the type of deals in progress. As such, Gupta’s strategy is to bring as many traditional venture capitalists into ConsenSys’ orbit as possible, to benefit from their experience with mainstream tech products. Indeed, ConsenSys Venture’s portfolio now shares mutual investments with Coinbase Ventures, Intel Capital, Sequoia, General Catalyst, Kindred Ventures, Betaworks, 122 West, La Famiglia and Paradigm, just to name a few. Meanwhile, more than 60 applications are already rolling in for the upcoming Berlin-based Tachyon program this year. Gupta said more than 200 projects applied for the first cohort and she expects there to be an equal number for Berlin by the time applications close in February. More than anything, Gupta said the first Tachyon program taught her team about what they are looking for in an investment. Namely, they want startups that are able to raise capital and run businesses on their own, without solely relying on the pocketbook of ConsenSys founder Joe Lubin. In a sense, this is consistent with the old ConsenSys strategy, which relied on partnerships within Lubin’s network and viewed portfolio companies as strategic partners. For example, several ConsenSys-incubated projects became the first users to test the loans facilitated by the portfolio company BlockFi. Sometimes portfolio companies work directly with ConsenSys teams for consulting and building products, whether the results stay in-house at ConsenSys proper or later translate to the external portfolio company. Going forward Gupta says she’s looking to prioritize investments in startups that focus on three things: infrastructure, privacy and network effects.